Caught in a Snow Storm!! Happy Christmas Eve everyone! I’m stuck indoors with kennel cough.. and that’s a thing and not a handsome young pup. 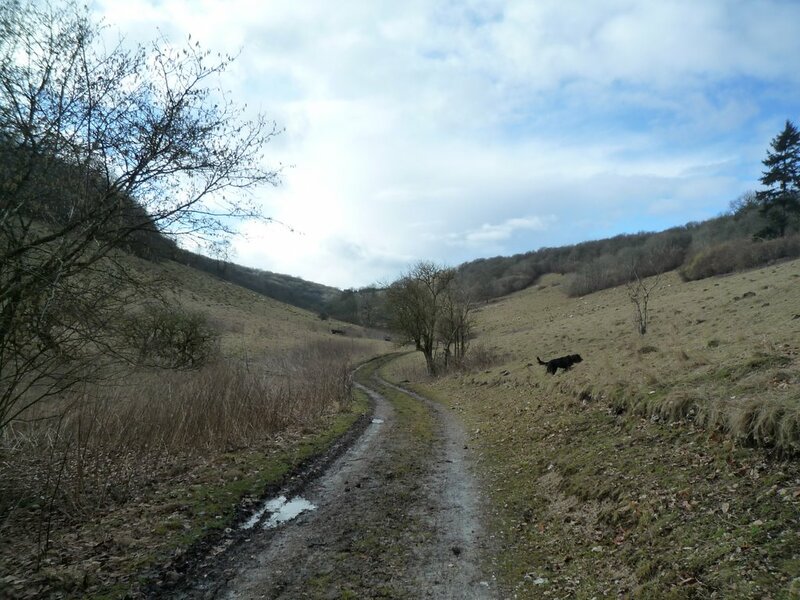 Not allowed to go on an exciting walk until I’ve stopped coughing… So I’m just remembering some of my best walks… this one was great because it snowed on us! Well, it’s probably a bit of an exageration, calling it a snow storm, but it was definitely more than a rain shower!! Anyway, to start at the beginning, on Saturday afternoon we decided to visit the secret valley again. We last went there inMay when the wood was a sea of bluebells so it looked a lot different this time.. the bluebells were just starting to sprout but it was all very brown and muddy. 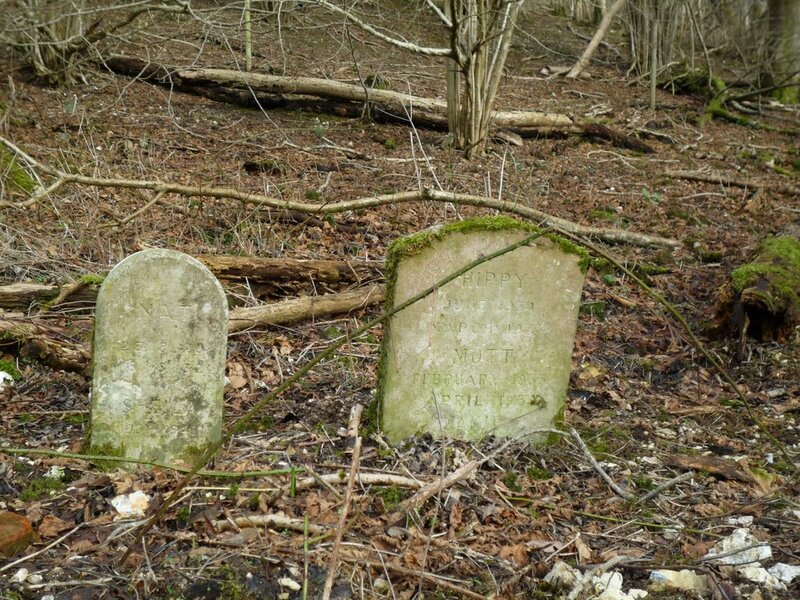 As we turned the corner by the house at the end of the track we spotted these tombstones at the edge of the wood, for Hippy June 1934 – Mar 1937 and Mott Feb 1933 – April 1937(?) and also Jakie but his dates were covered up. The little stone was for Nat 25 August 1920 – 18 August 1932 and Sheila 1931 – 1946. I wonder who they were. Poor you. Kennel Cough is no joke! Still so long as you are warm and given Tripe infusions every hour I’m sure you’ll recover. In the meantime I would like to wish you all a very Happy Christmas! Mmmm tripe infusions every hour… I will mention that! So far I’ve just had regular meals and a lambs ear. Merry Christmas! Sorry you are stuck indoors! Thank you! We went out in the dark tonight and I had a run up the field… didn’t see anyone at all so I didn’t have to worry about spreading germs x Merry Christmas! Looks like a lovely place to walk. A merry Christmas to you all. We are so sorry you are sick Teagan especially at Christmas. Hope you still get all your presents. We sent a box, don’t know when you will get it. Get well soon so you can get out. We got 1″ – 2.54 cm of snow not much but looks pretty. Sorry to hear you weren’t well over Christmas. My human has a nasty cough herself now, don’t think it’s kennel cough though! Hope you are better now and able to run about outside and enjoy yourself.